Alloy metal with Silver plating. This is oxidised silver finish with Goddess Durga figure on the pendent with black thread. Kaizer Jewelry Antique Oxidized German Silver Plated Tribal Jewelry is a Handcrafted Ethnic Jewelry Made In India. This Jewelry Is Made Of Non Precious Metal and is Gold Plated. The Metal Used is of Superior Quality, Strong and Long Lasting. 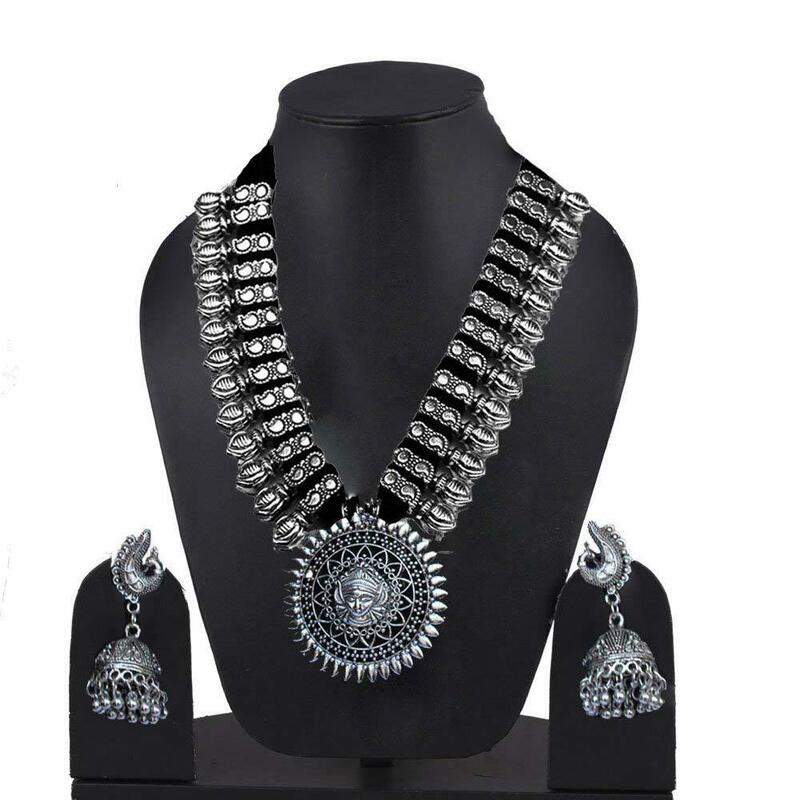 Perfect As A Daily Wear, Party Wear, Festive Wear And Costume Jewelry. 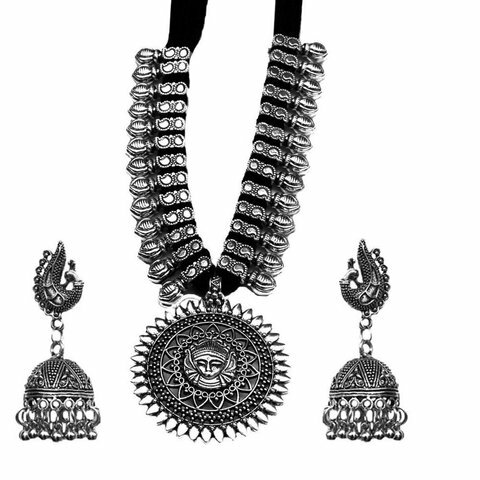 Gift Your Loved Ones With This Traditional Indian Jewelry. Would Please Any Recipient. Package Content: One Necklace And A Pair Of Earing.